A huge crowd gathered in Okinawa on Saturday to protest the Japanese government’s controversial relocation of a U.S. air base within the island prefecture. Some 70,000 people took part in the rally at a park in the prefectural capital of Naha where they adopted a resolution urging the central government to abandon the plan to transfer U.S. Marine Corps Air Station Futenma from densely populated Ginowan to the coastal area of Henoko in Nago, according to an organizer. 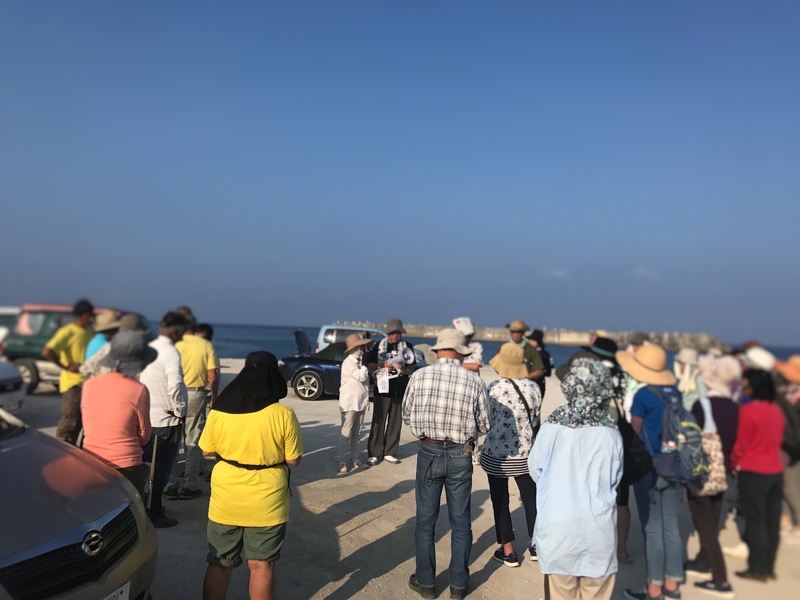 At the start of the gathering, the participants offered a silent prayer to the late governor of Okinawa, Takeshi Onaga, who died of cancer Wednesday in the midst of his anti-U.S. base campaign. 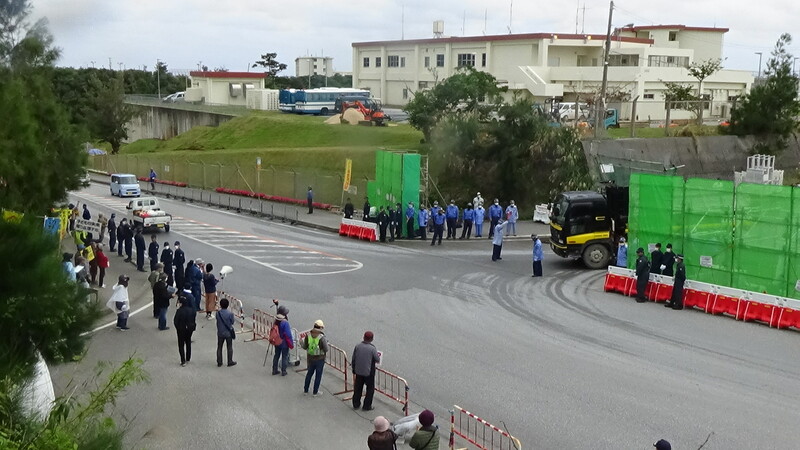 Onaga fiercely confronted Prime Minister Shinzo Abe’s administration over the base relocation, demanding it be moved outside the prefecture which hosts the bulk of U.S. military facilities in Japan. Onaga’s son Takeharu, who is an Okinawa assembly member, said in his speech during the protest that the late governor spent a lot of his time studying ways to block the base transfer to Henoko while he was hospitalized for cancer treatment. Deputy Gov. Kiichiro Jahana, who is taking over governor duties, reiterated his intention to continue the prefectural government’s procedures, as instructed by Onaga, to retract the approval for landfill work for the base relocation that was given to the central government by Onaga’s predecessor. 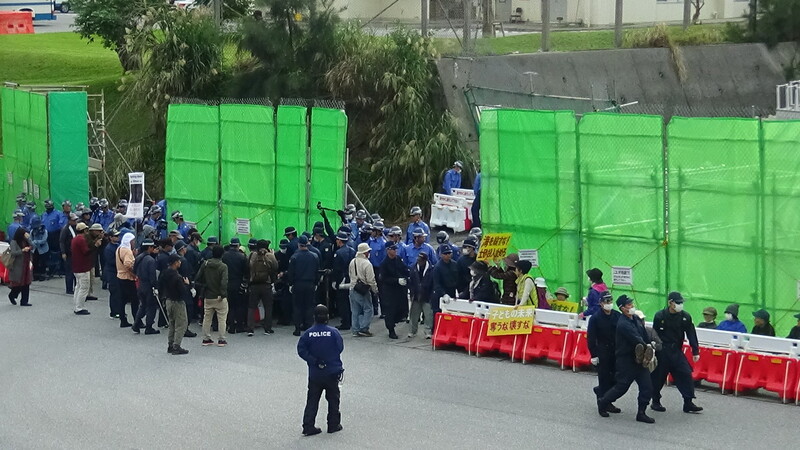 Okinawa and the central government have already fought a number of times in court. The Japanese government believes the base is necessary for Japan to maintain the perceived deterrence provided by the United States, while many in Okinawa regard it as an unfair burden on the prefecture.